OOTD for young ladies. 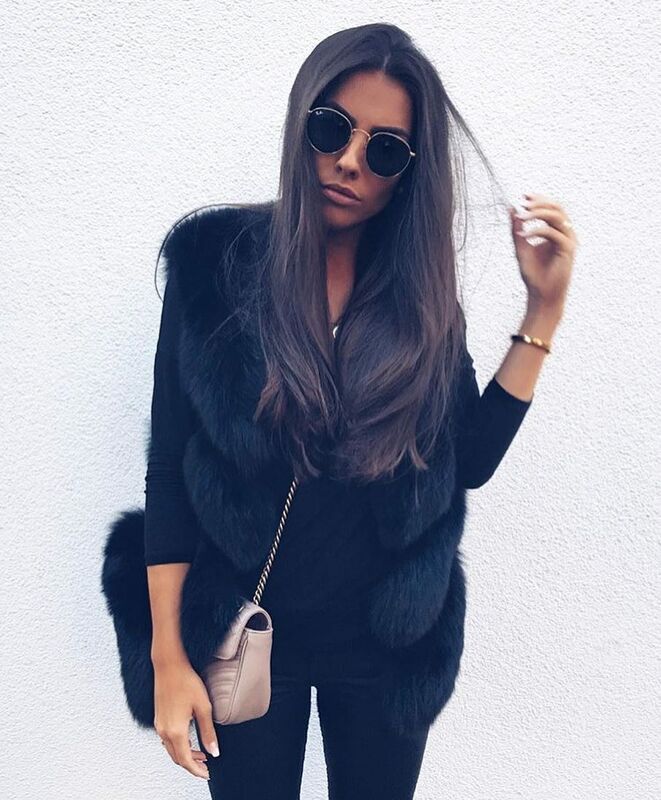 We see an all in black outfit idea that features a black fur vest, silk blouse, and skinny pants. The combo is updated with rounded sunglasses and beige leather shoulder clutch bag.